MUNDWERK Die Kieferorthopäden is specialised on the treatment of children and adolescents. best be screened at the age of seven to eight, however, latest when they are between 10 to 11 years. When it comes to crooked teeth of their children many parents are very concerned not to miss the optimal time to start orthodontic treatment. However, their is no cookbook recipe. As every child looks different so does the position of her/his teeth and jaws. To be on the safe side not to miss anything an orthodontic consultation is highly recommendable. This person is a specialist and knows about the individual, potential risks of crooked teeth and/or an incorrect bite. If possible, infants should be presented the latest to an orthodontist when their baby front teeth get lost – if not referred already before by a pediatrician or the family dentist after they had diagnosed a remarkable irregularity of the young child’s teeth. Therefore, the eruption of the first permanent tooth signals “time for an orthodontist”. During the early mixed dentition time, i.e. 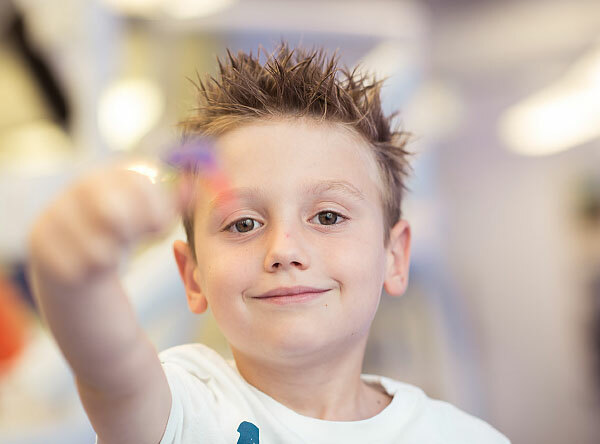 in many children between 5 and 6 years, an orthodontist can find out whether an irregularity of the teeth and jaws can trigger a growth impediment. If this is the case children of this age will already get an appliance. This is considered as early treatment and affects only some 3 to 5 % of young children. Normally, treatment consists of simple removable devices or fixed braces. These are well accepted by these youngsters and in case of removable appliances often have only to be worn at night and some hours during the day. In general, early treatments last about one to one and a half year and will normally be reimbursed by insurance companies. Children and adolescents are the majority of orthodontic patients who can be best treated during their main growth period. These youngsters are around 9 to 10 years and right in the middle of the mixed dentition. Many tooth and jaw irregularity develop at this age but are still easy to correct because they are not yet consolidated. In the second phase of the mixed dentition it is indispensable to let a child be examined by an orthodontist. Family dentists might give valuable advice but they are not specialized in the growth and development of the teeth and jaws. Every orthodontist undergoes a training of four years during which all aspects of her/his speciality will be covered. During the examination the orthodontist will scrutinize the teeth and their position, the upper and lower jaw as the bite (the relation of both jaws to each other). Only then she/he can determine the necessity of an orthodontic intervention. This will be followed by a joint discussion with the parents about the most advantageous appliance plus the duration and costs of the treatment. Routinely, this would be followed by diagnostic records to document the present situation and the intended treatment goals. The treatment plan is commonly sent by the orthodontist to the statutory health insurance. In case of a private health insurance the treatment plan will be mailed to the patients’ parents who can submit it without problems to the company. As soon as the treatment is approved it can commence. In many children and adolescents treatment comprises on average of three phases. Initially, the form of the dental arch will be idealized with plates which takes between 6 and 8 months. This is followed by another removable appliance to correct the bite. The time span of this phase is somewhat difficult to predict. Of course, this is primarily determined by the individual’s motivation and cooperation. The whole active treatment is perfected by fixed braces (aka multiband/-bracket appliance) which will move all teeth into their ideal position. This can be accomplished nowadays also with clear plastic appliances – so-called aligners. Details are best discussed between patient, parents and orthodontist. The discussion can also include the wide spectrum of treatment costs. In most orthodontic patients these will be covered by the statuary or private insurance. Not covered are costs for comfort service as fore instance professional prophylaxis, tooth surface sealing, esthetic materials and jaw joint examinations. Every patient can decide what she/he wants or needs. Since these extra costs can also be covered when an additional policy is procured this aspect should be debated during the first consultation with the orthodontist. Every newly erupted tooth should be thoroughly cleaned from the first day of its eruption. Bacteria do not differentiate between baby and permanent teeth. It is sometimes difficult to brush an erupting tooth because there is an excess of gum tissue around it. This is where parents can greatly assist without being scared to hurt such a tooth. It should be controlled that a child has an age appropriate tooth brush which is usually one with a small head. Also children should like to taste of their toothpaste. It would be ideal if every child would brush her/his teeth for three minutes because this will guarantee very clean teeth giving the fluoride from the toothpaste a chance to penetrate the surface of the teeth building a protective layer. Since most individuals do not brush teeth long enough an alarm can be very helpful. Dental floss is indispensable to clean the spaces between neighbouring teeth because no tooth brush can get there. Ideally, dental floss should be used once a day. Generally, children enjoy it if their teeth are cleaned with an electric toothbrush. This preference could be utilized to clean teeth as early as possible with an electric toothbrush. Electric toothbrushes for children not only have a small head and a larger handle but also a timer which plays every minute a different tune. As sson as children can rinse well the daily oral hygiene should be supplemented by a liquid fluoride preparation which will help to harden the tooth enamel. The earlier children start to brush their teeth themselves the better. The role model function of parents cannot be underestimated in this context as in the entire life. If possible parents should sit in front of their children and brush together with them. Children by themselves will never invest more time in their tooth cleaning if their parents do. Children in their pre-school age should brush all surfaces of their teeth one minute each. With open mouth the top of all teeth in the upper and lower jaw are cleaned then the outsides while biting together and finally again with the jaws open the inside surfaces – all as good as possible. Some children can practice a sufficient oral hygiene independently already at the age of 8 years. Other cannot do so before age 9 or 10. This is partially due to the individual development of dexterity because optimal tooth cleaning demands some finely coordinated movements. Parents are well advised to control the quality and success of their children’s’ oral hygiene. Again, the role model function of Mom and Dad should never be forgotten. It is highly recommendable the children go for professional oral hygiene at least twice a year; with fixed braces better a few times more. Insurance companies offer programs for individual prophylaxis (IP-programs). Various oral hygiene procedures as for example instruction, motivation, and fluoridation take place in a time frame which is defined by the insurance. However, professional oral hygiene is not covered by the statuary insurance system. Generally, oral hygiene is carried out by the family dentist. Here, teeth are cleaned and polished. In the orthodontic office those teeth with fixed braces on will be thoroughly will be cleaned and polished. This requires special attention and care to avoid any damage to a patient’s teeth. All in all, it is better to receive professional oral hygiene one time more than one time less. Our practice association contains also its own speech therapy section where treatment is custom-tailored for every patient to establish or improve her/his articulation respectively the overall function of the mouth and face muscles. This is primarily based – especially in children – on sensory training. This includes: boost of concentration, attention, and persistence to secure the treatment success. As already hinted at our speech pathologist treat all kind of mouth and face muscle dysfunctions in children. The main goal to eliminate all problems of muscle action and tone to ascertain a normal balance of all the muscles surrounding the mouth and teeth. Breathing, suckling, biting, chewing, and swallowing should be harmonic and attuned. This will guarantee that the complex “mouth and face” functions physiologically which can prevent tooth irregularities to some degree.